I twisted the dials, fiddled with the knobs and took way too many pictures of a lonely apple on a white background and I finally figured out why professional photographers are worth every penny you pay for them! The perfect summer salads are easy, sharp, bright and clean (just like my pictures are supposed to be, ha!) This salad is a firm favourite of mine as it uses one of my go to flavour boosters, the nigella seed. 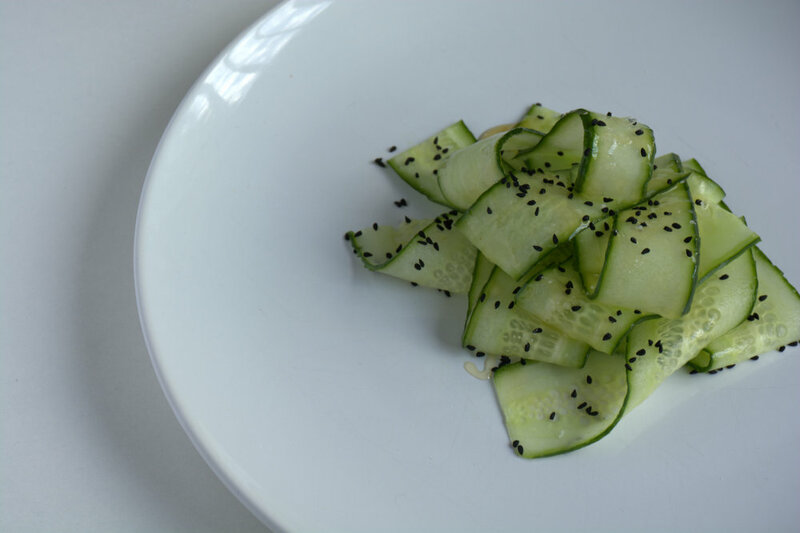 Nigella seeds are nutty and earthy and work perfectly against the pop of the crunchy cucumber in this salad. 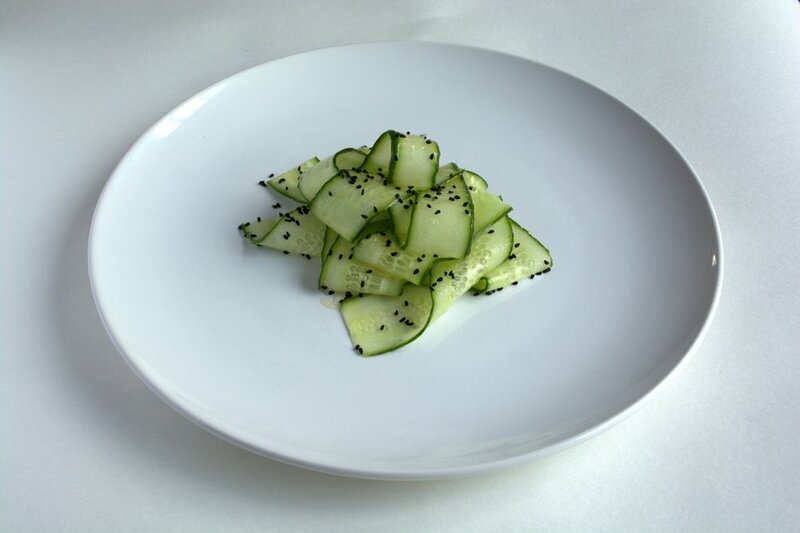 Toss the cucumber strips in a few dashes of apple cider vinegar and arrange them on a plate. 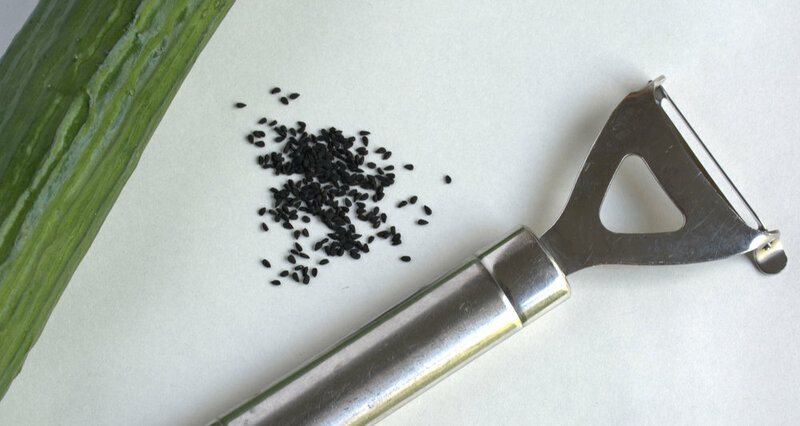 Sprinkle over the salt, nigella seeds and drizzle everything with honey. Find a sunny spot and enjoy.